During the construction process, architects and designers do their best to develop plans that mirror the needs of a client before the construction teams begins their work. Designers prepare for all kinds of contingencies. Nevertheless, once the construction process begins, changes will always take place, mostly because the client changed his mind with regards to a dimension, feature or possibly because the contractor saw the need to make some adjustments. Once a project is complete, the contractor furnishes the client with a set of As-Built plans & drawings that show the changes that took place during the course of the project. 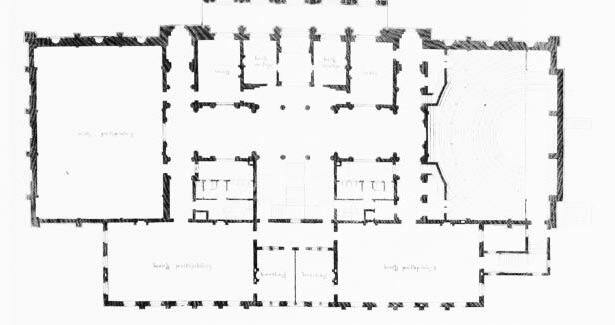 Generally, such plans contain a little more detail than those used on site. What changes are usually reflected? In general, there are two types of post-construction plans. However, the one that is common is the as-built floor plan. This plan contains structural modifications as well as layout variations from the initial plan. Changes may include a shift in the location of a wall, door, staircase or window. If you are not satisfied with the level of detail you see on the plan you see on site, ask for an existing condition plan. They contain the location of features or installations such as HVAC ductwork, electrical outlets, and plumbing systems. You can order your as-built plans and drawing once the contractor has completed your project. SP Drafting can provide you with clean and legible As-Built plans that mirror all the changes that were made as the project went on. What you end up with is copies of originals. However, if the changes were extensive, your consultant will provide new professionally developed plans, although in most cases they cost a little extra. If you are seeking plans for a structure you already own, SP Drafting will gladly accept your order and begin surveying to develop new As-Built plans. Who is likely to benefit from As-Built plans? As-built plans are important for a great number of people. If you own a building that you would like to sell, the plans will help you quote the right floor footage that a commercial appraiser will provide to interested buyers. If you are a real estate agent representing a client and you do not have as-built plans and drawings yet, you can order for a set of plans so that you have an idea of what your client is hoping to sell. Once you understand the overall layout, it becomes easy for you to market the property to prospective tenants or buyers. Older structures may have undergone several modifications over their lifetime because tenants have unique needs. An accurate documentation of these changes is important. Professionals such as interior designers, contractors and architects make use of as-built plans when they are making plans for a remodel or build-out. That way, they are able to understand what they are working with before a finalized design is done. As-built plans and drawings are a valuable resource for many professionals and building owners. They provide information on a building’s current layout whether new or existing. The plans are helpful when selling, buying or modifying a building. Contact SP Drafting today to get a free consultation on As-Built plans.